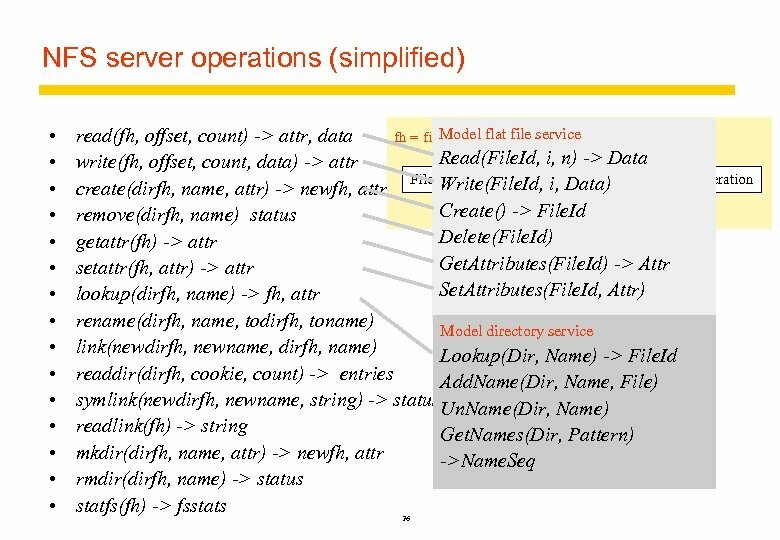 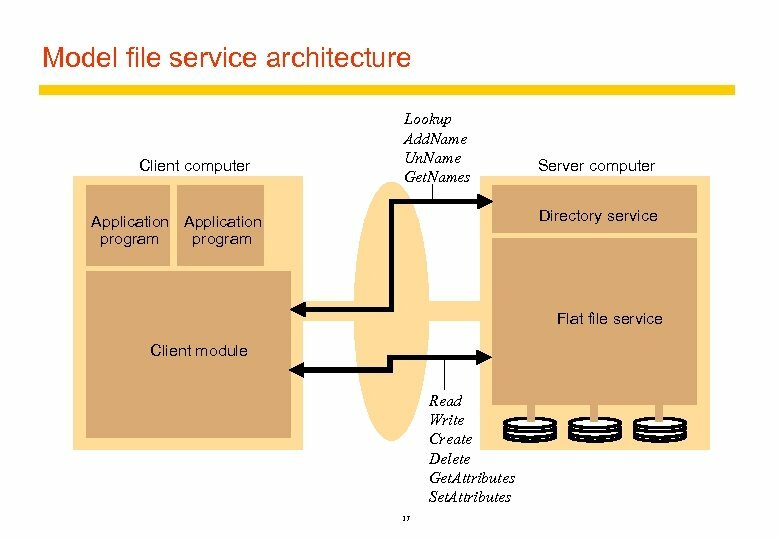 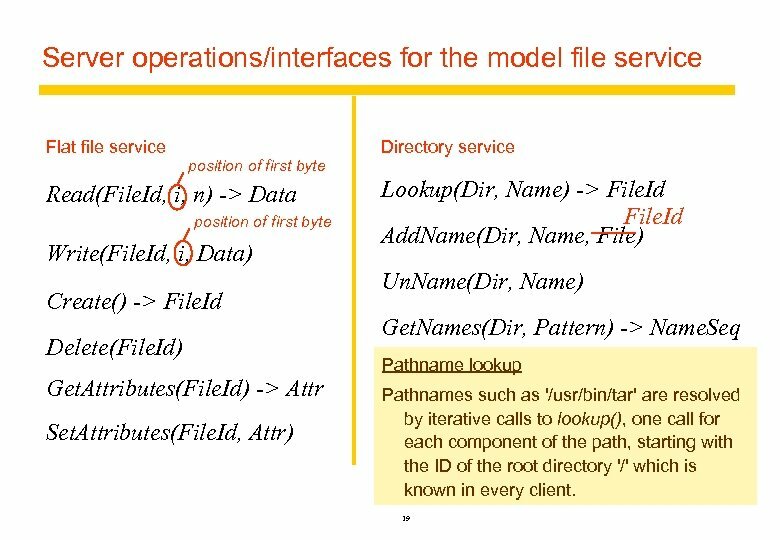 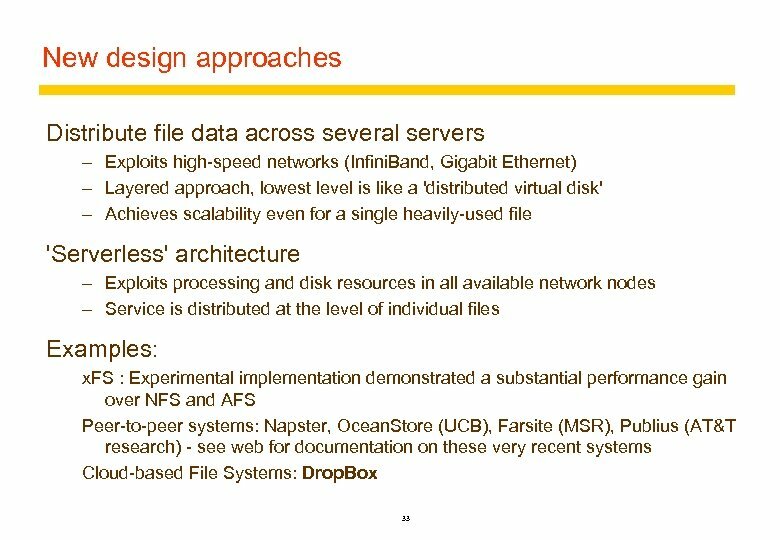 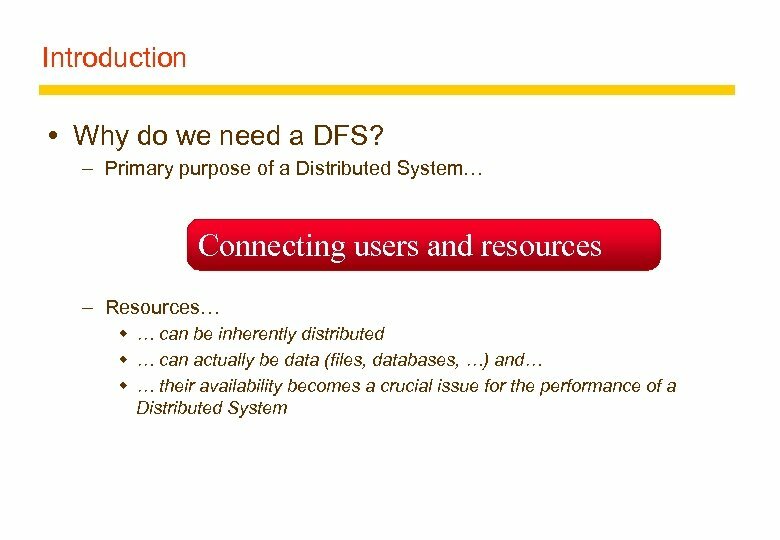 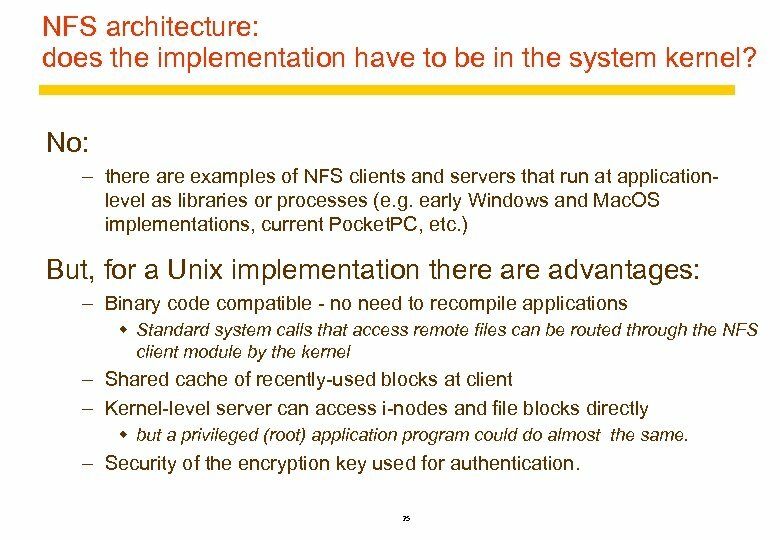 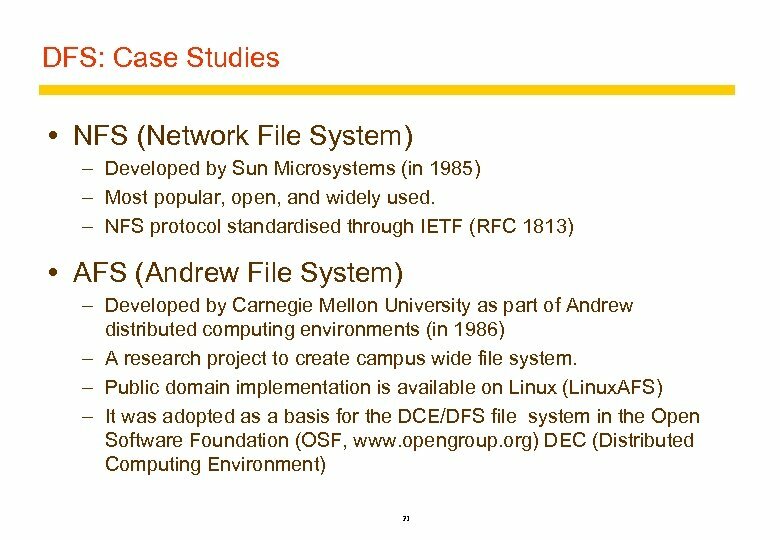 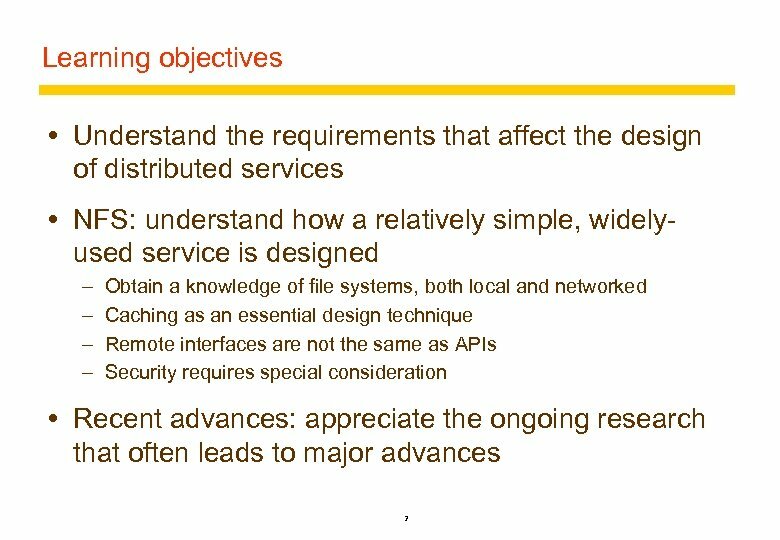 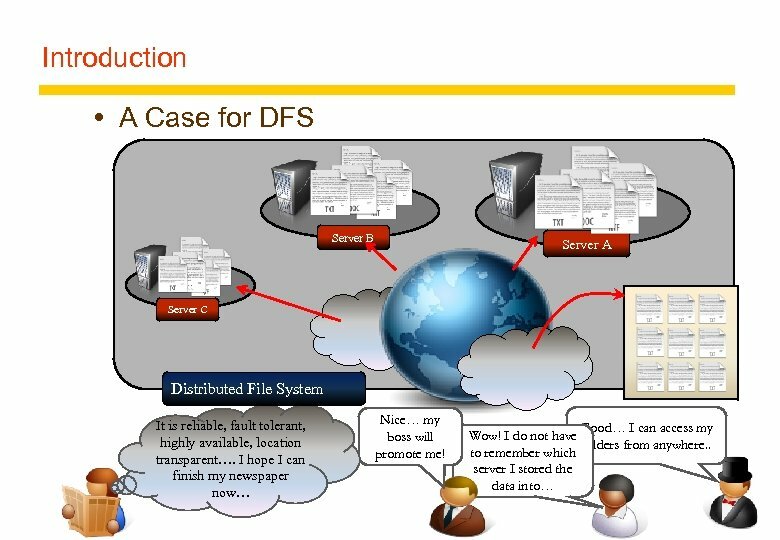 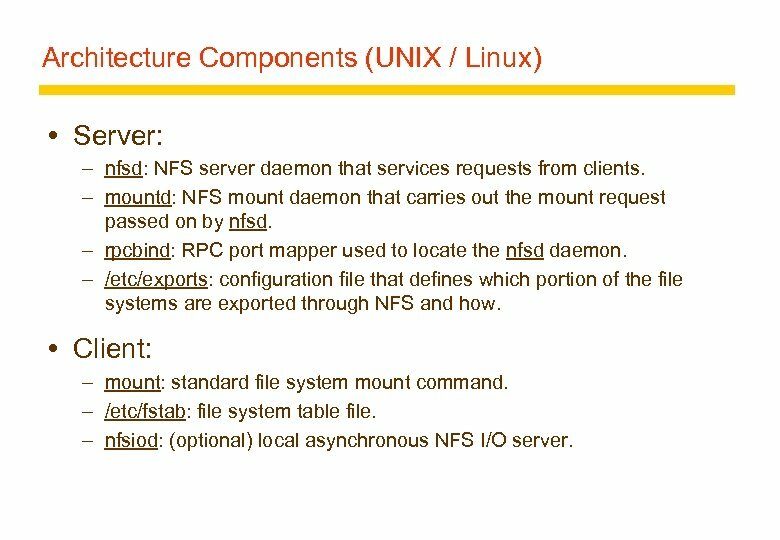 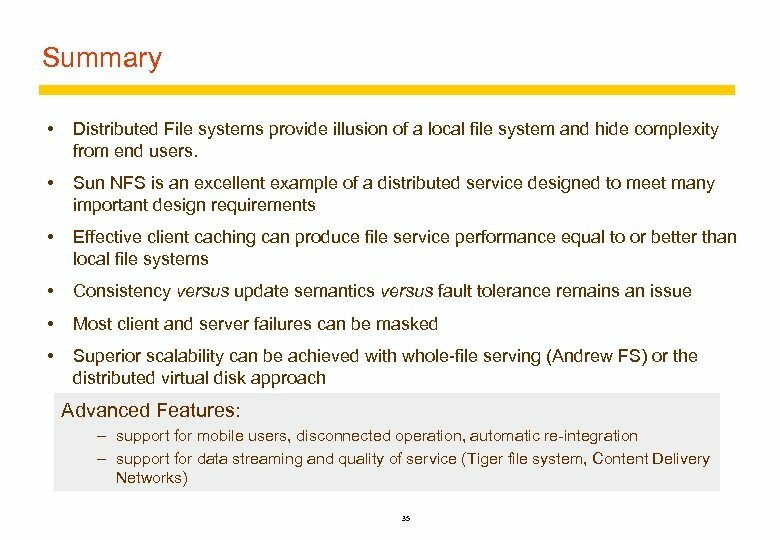 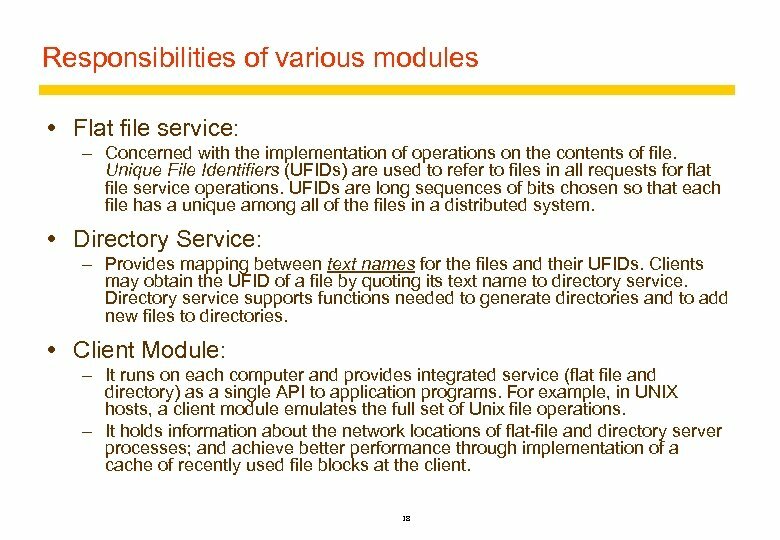 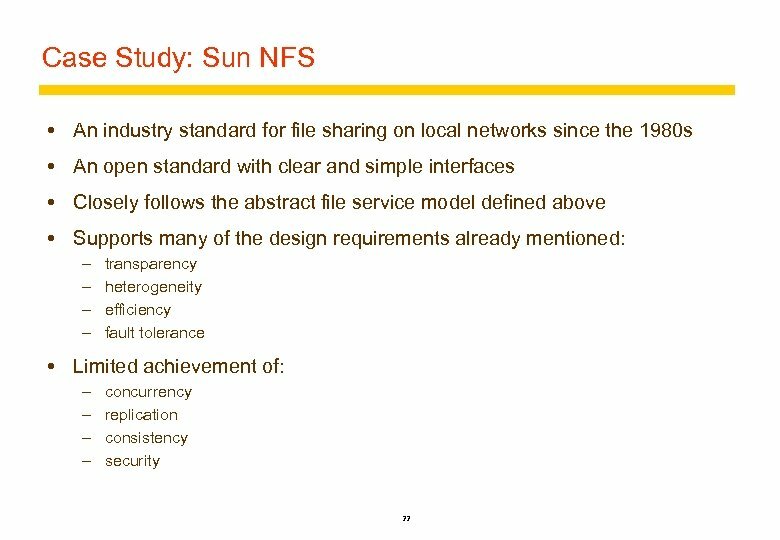 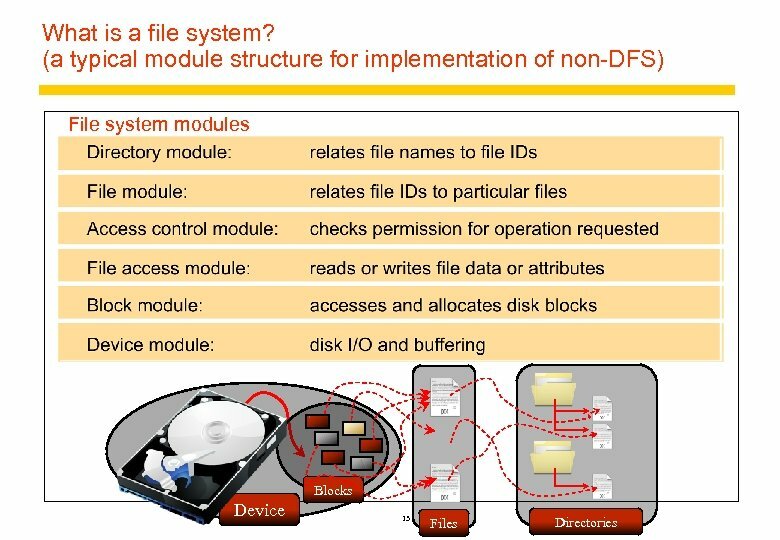 Architecture Components (UNIX / Linux) Server: – nfsd: NFS server daemon that services requests from clients. 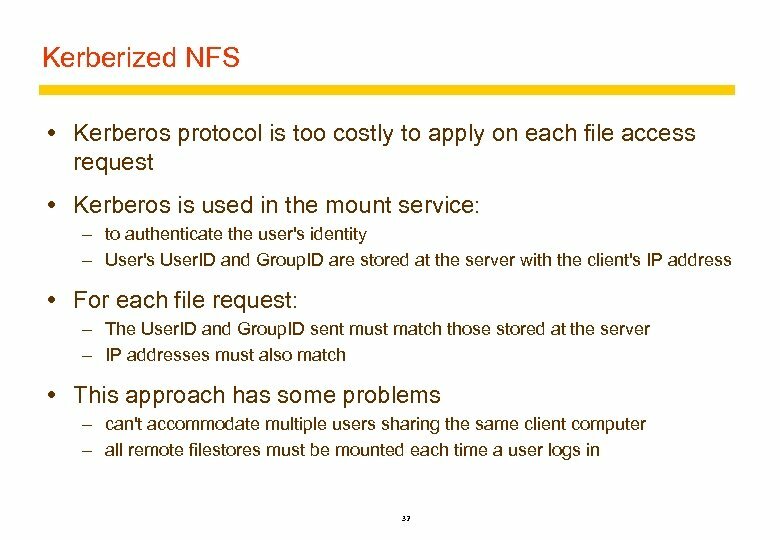 – mountd: NFS mount daemon that carries out the mount request passed on by nfsd. 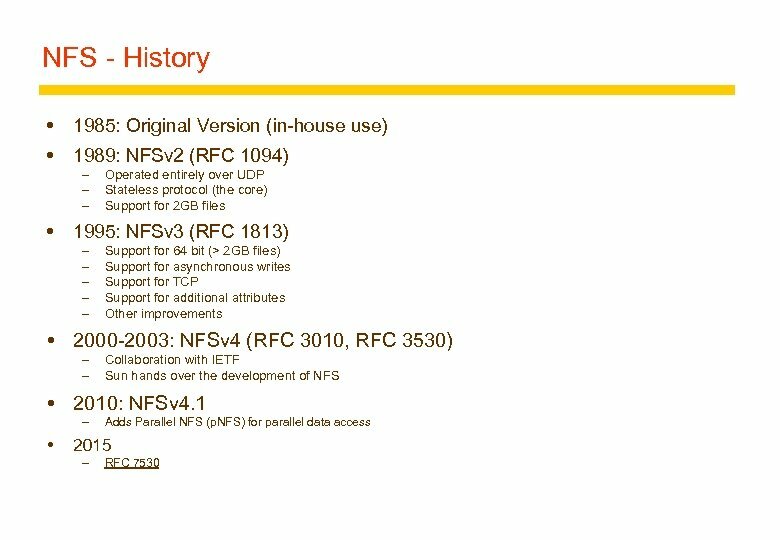 – rpcbind: RPC port mapper used to locate the nfsd daemon. 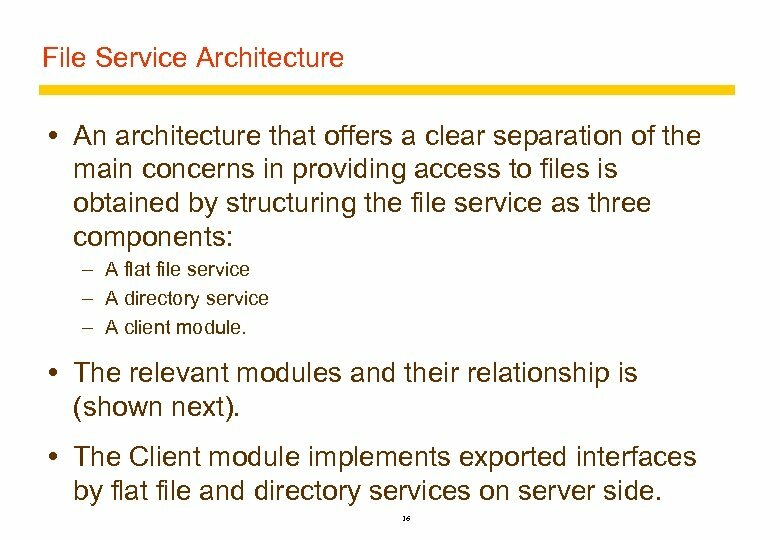 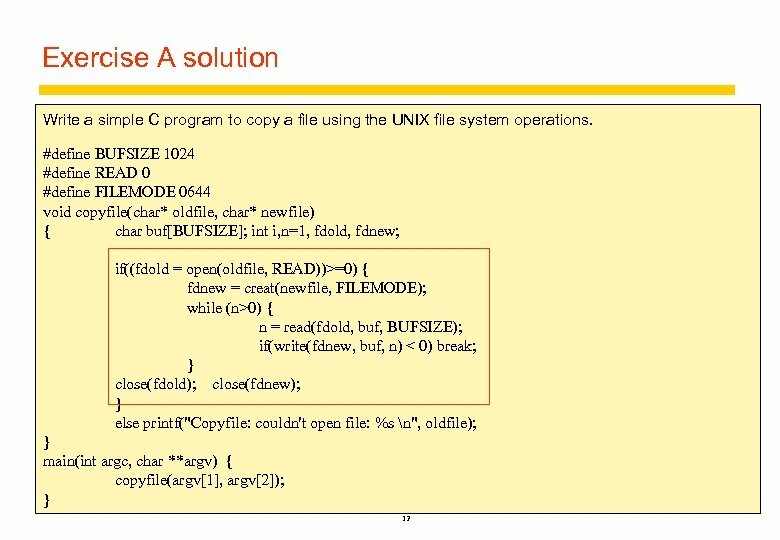 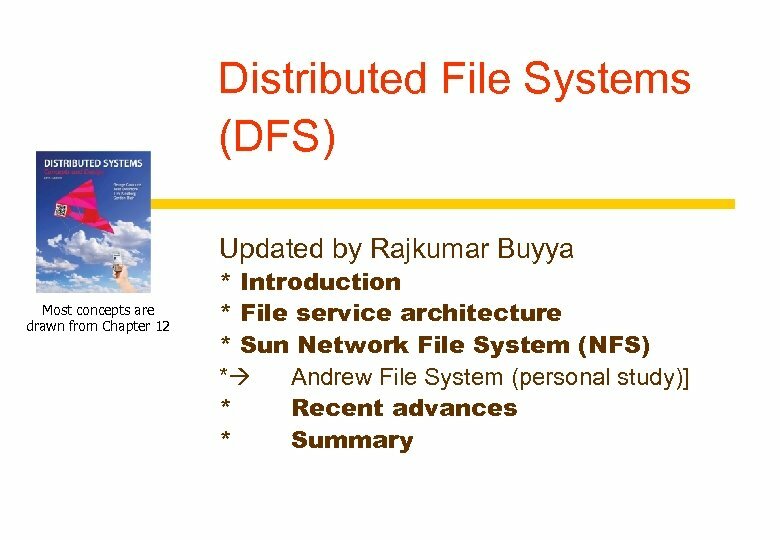 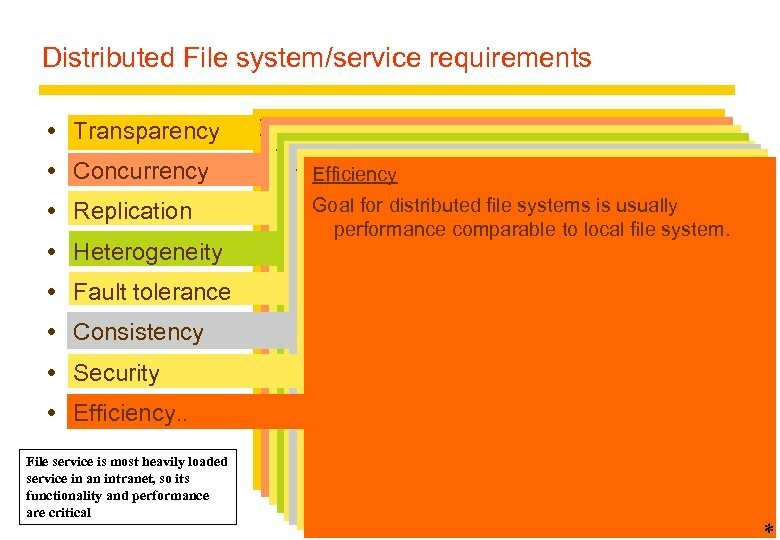 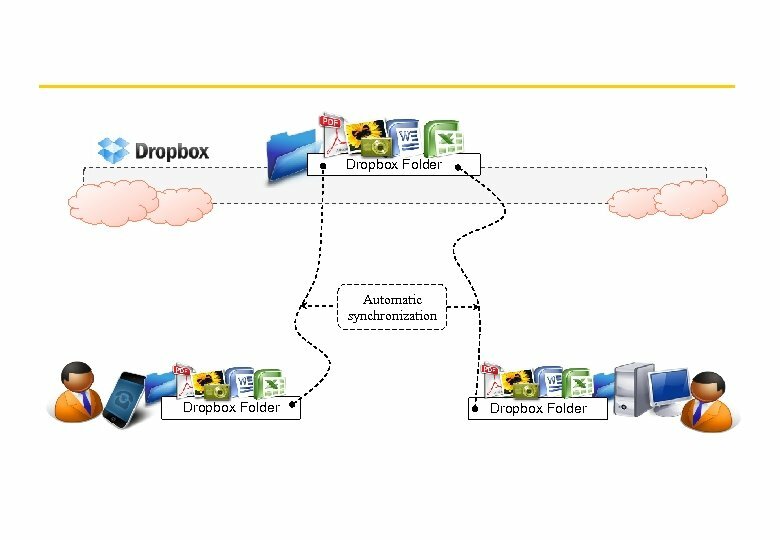 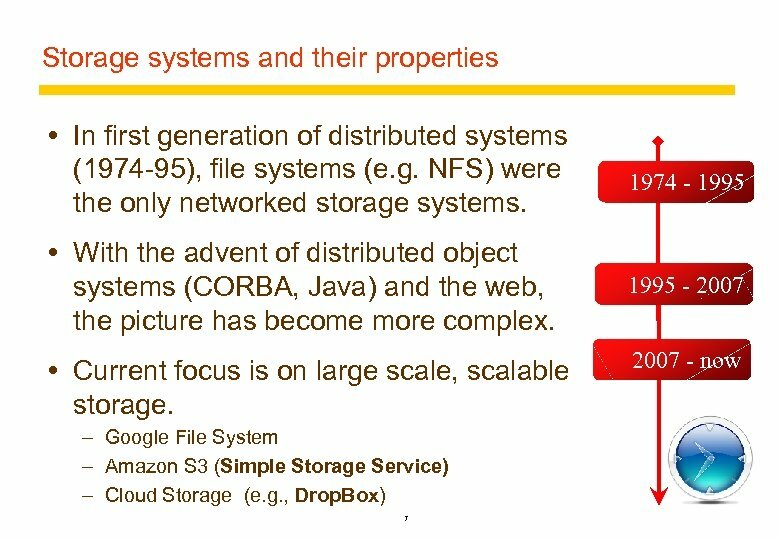 – /etc/exports: configuration file that defines which portion of the file systems are exported through NFS and how. 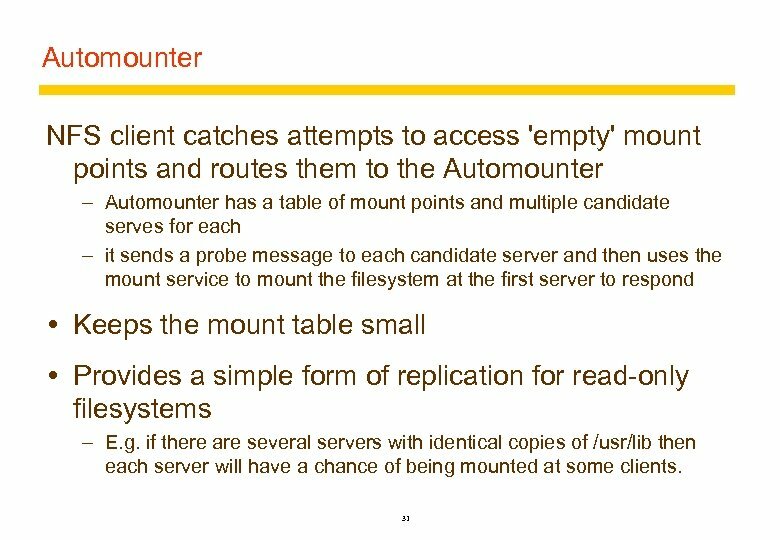 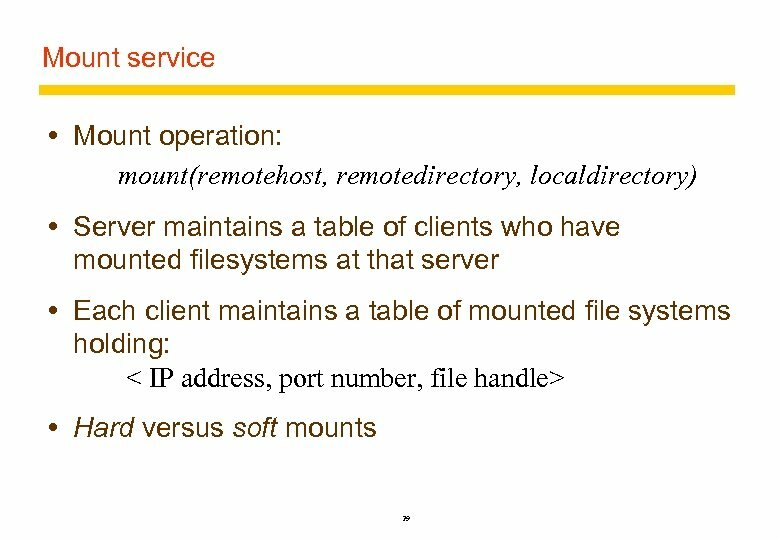 Client: – mount: standard file system mount command. 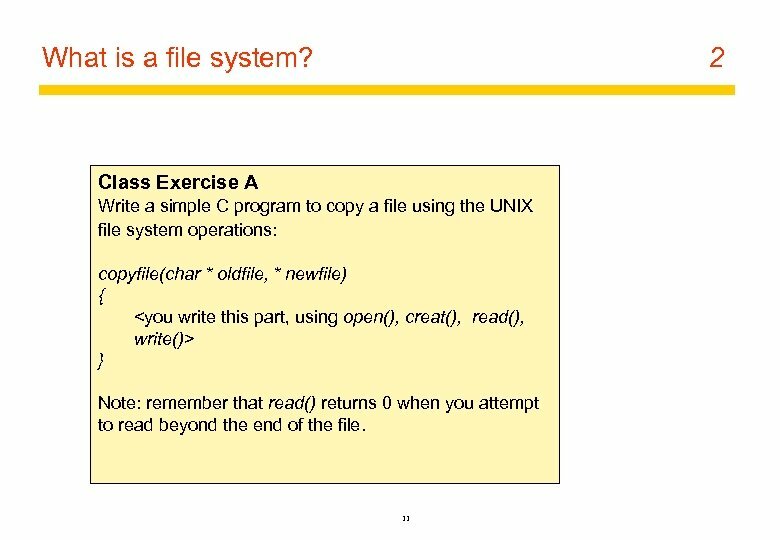 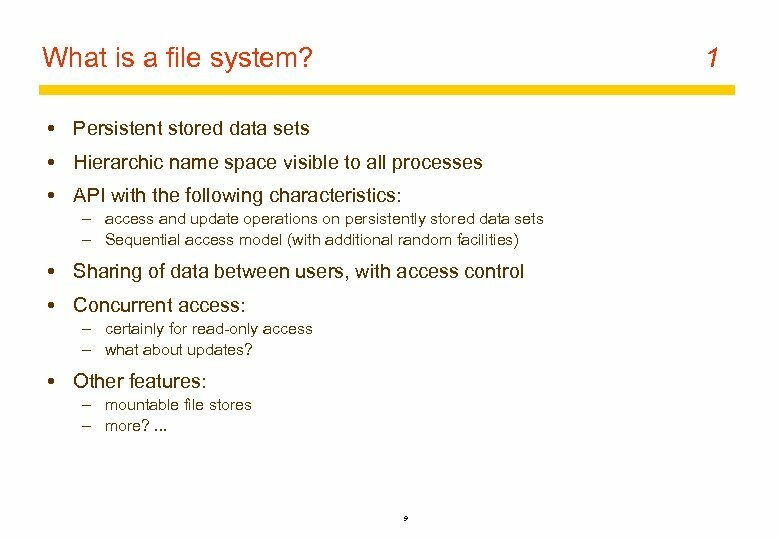 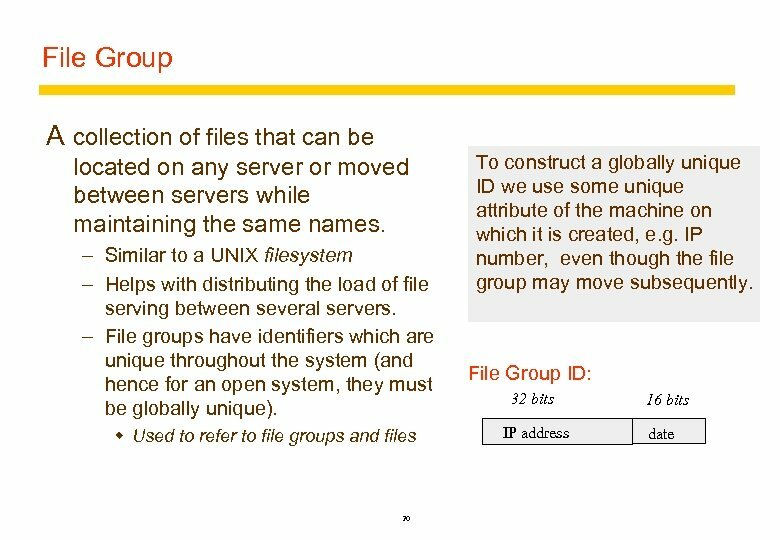 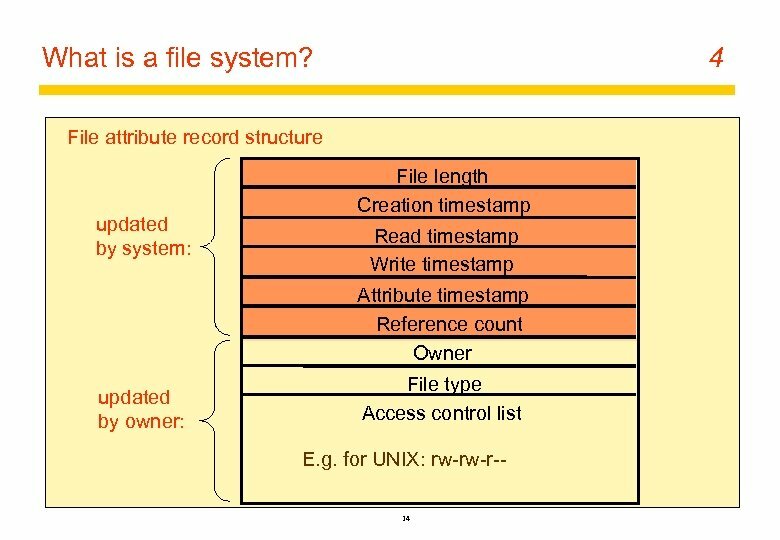 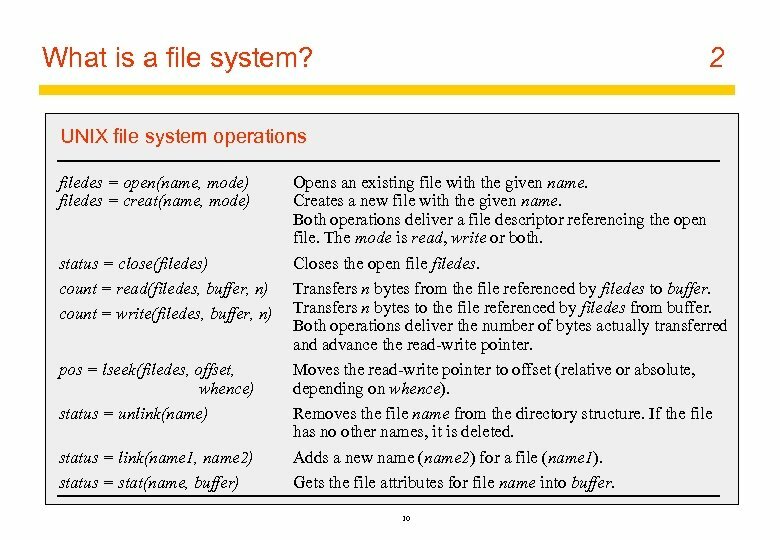 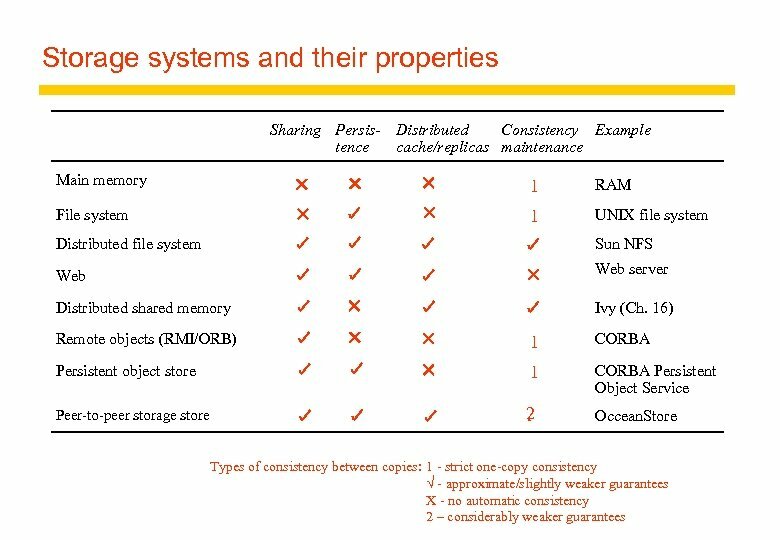 – /etc/fstab: file system table file. 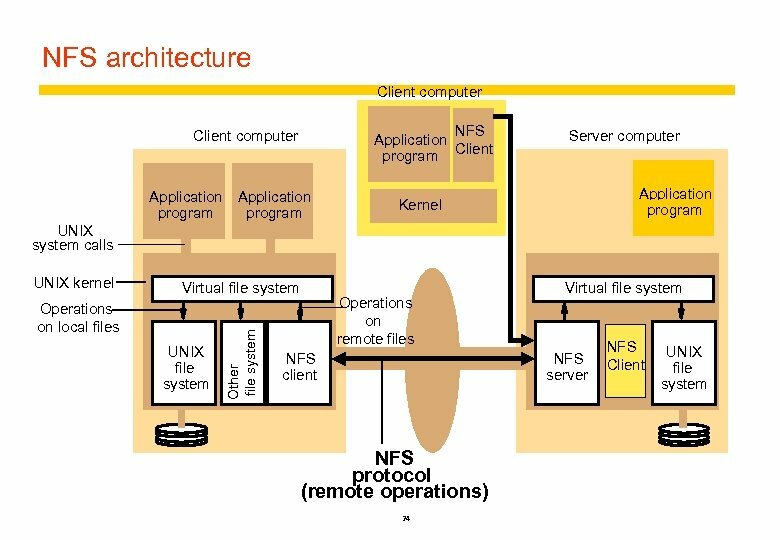 – nfsiod: (optional) local asynchronous NFS I/O server.